Another day, another fun time in the Call of Duty: Black Ops 4 Blackout beta. It’s set to go live in a couple of days on the Xbox One and PC front, though select PlayStation 4 owners can enjoy what it has to offer right now. 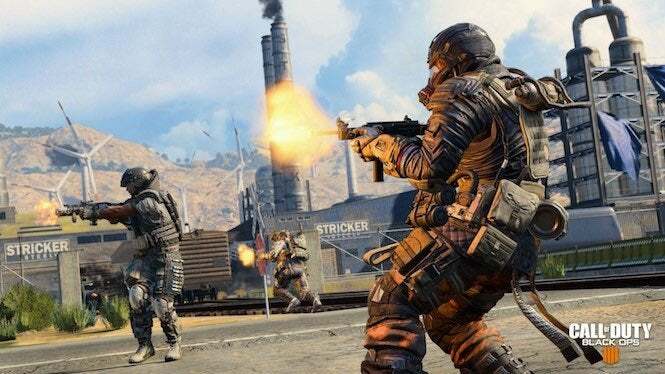 Treyarch is making continuous updates to the beta, and it just posted details about its latest one, including the introduction of a new event-based playlist, amongst other changes. You can see all the details regarding the update below. “Day 3 of the Blackout Beta is upon us and we just deployed our latest round of updates. One of the first things you’ll see is that we activated our first event-based Playlist called Fast Collapse. Fast Collapse is exactly what you might imagine. The play space is constrained at almost double the speed as the base game. Scavenge fast and get on the move towards the safe area or you’ll be caught on the wrong side of a nightmare. Fast Collapse is just 1 of 3 special events we have in store for you,” the company noted. Some fixes have also been added to the game, including general stability and matchmaking patches, as well as downed players not being able to interact with their inventory until starting a new match. This follows the news that Treyarch had made improvements on ammunition pick-up in the game, so hopefully, with these changes combined with that, players will have no trouble keeping things balanced. If you’ve got access to the beta, dig in and enjoy. Otherwise, you’ll be able to jump in soon enough! Call of Duty: Black Ops 4 will release on Oct. 12 for Xbox One, PlayStation 4 and PC.